I spent a lot of time trying to decide on a topic for today’s post. But I could really think only of one topic, although I tried to resist it for a while because it’s too sad and frustrating. In the end, I decided to go with it. And so today I want to join the conversation discussing the queer women that have died on our TV screens this year, the Dead Lesbian trope, and the implications of this continuing trend. Spoilers for Lost Girl, Person of Interest and The 100 below (and of course, don’t look at any of the links if you don’t want to be spoiled about any character deaths anywhere). Before I talk about the queer female TV characters that were killed this year, it’s important to mention the general TV landscape surrounding these deaths. The number of TV shows is increasing, but so is the number of character deaths, and in fact, the latter is increasing much more—according to Vox.com, between 2012 and 2015, the number of shows almost doubled, whereas the number of deaths tripled (the deaths of characters who appear in at least 3 episodes were counted in their study). A general in-depth discussion of this trend is perhaps a topic for another post, but I’ll just say that I’m starting to get really tired of all the prominent character deaths on TV. So this is the stage for the discussion of the deaths of queer women. According to the data in the link, 10% of those deaths are queer women, while the total number of lesbian/bi women compared to total number of characters is much smaller than that. It confirms once again the well-known fact that LGBTQ+ characters are killed more often than straight characters (hence the Bury Your Gays and Dead Lesbian tropes). LBPQ (lesbian, bisexual, pansexual, queer) women are not amused about so many of us dying on our screens. 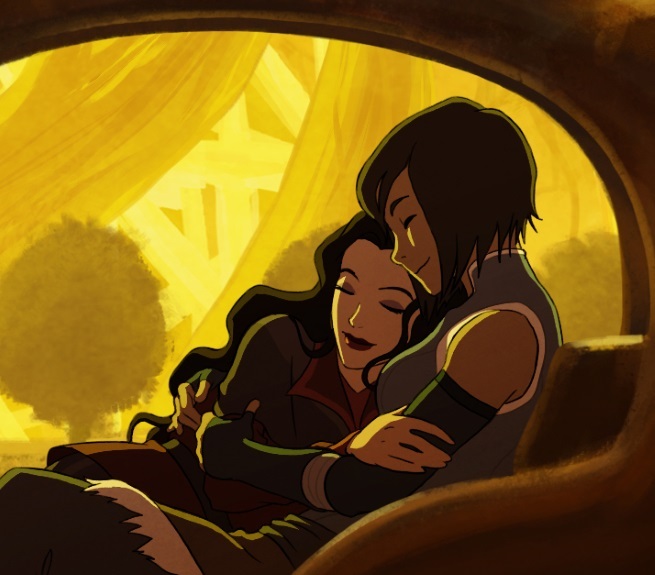 One bit that really boils my blood about this is that creators and fans alike often try to justify these deaths with arguments such as the need to write the character out of the show, that they’re dead not simply because they’re queer, or that it made the most sense for their character arc. Any of these may be true on an individual case-by-case basis, but all these arguments disregard the bigger picture: one dead lesbian may not mean much, but when every other queer woman dies, leaving behind a heart-broken lover (if they don’t both die), it sends a message that queer women are not meant to be happy; that we go through a life’s worth of struggles and we don’t even get a happy ending like straight people do. I do not watch TV to watch people like myself struggle and die. A great part of the reason why I watch TV is to see characters struggle and overcome everything and live happily ever after. A particularly complicated example here is Root (Person Of Interest). When she first appeared, she was ready to die for the Machine and spent the next few seasons literally dodging bullets with the help of the good AI. Root appeared to be made for the underground life of fighting evil AIs. When the show started approaching its end, I started wondering how Root could have a happy life after the final credits rolled, given that she only just found love with Shaw in the season before. Root just didn’t seem suited for a calm quiet life, but I was sure the creators could come up with something. However, it appears that they did not want to come up with something and instead decided to just kill her. While it fits with the arc her character was going through, the way she died alone in a hospital after saving Finch hardly seems all that respectful, not to mention that her death appears to have been used mainly to fuel his character arc and make him start using the Machine more aggressively (something Root had been trying to get him do for ages but he kept resisting, by the way). Such negative implications and impact of the deaths of queer female characters could, of course, be avoided if there were more of them to begin with, with more main characters, seeing as main characters are less likely to die given that the show is about them. A show such as Lost Girl, which had several recurring queer characters, could afford to kill one of them, as it still leaves quite a few of them alive. Although I really dislike Tamsin’s death due to the misogynistic tropes in her story, thanks to Lost Girl’s other queer female characters, her death doesn’t further the message that bad things happen to all queer women. The TV landscape is such that we’re living in times where pretty much any character on most shows could die. However, the odds of death are much higher if you’re LGBTQ+ and a woman, and most of these existing characters are only secondary/recurring. The message here is pretty clear: these characters die because they’re expendable or interchangeable. Our stories and happiness don’t actually matter. This entry was posted in Buffy, LGBTQ+ Issues, Sexualized Saturdays, tv show and tagged dead lesbian trope, female characters, Lexa, LGBT Characters, LGBTQ, lost girl, misogynistic tropes, person of interest, queer women, root, The 100 by cloudnoodle. Bookmark the permalink. Wonderful post on the “Bury Your Gays” trope in regards to lesbian and bisexual women. Spoiler warning for shows mentioned! See also: Sarah Lance/Black Canary in Arrow. Gets offed at the beginning of Season 3 to kick off the season’s story arc. Admittedly, she was in a heterosexual relationship at the time, and she also got resurrected sometime later, but still. Sara Lance is canonically bi so it doesn’t really matter who she’s in a relationship with at any given time, she’s still a queer character, so her death still falls under the trope. However, in my opinion, the fact that she was resurrected does sort of negate her death (I mean, that is the point of a resurrection, isn’t it? ), although, of course, when she died, we didn’t know that she would be resurrected. So, I’m not saying that her death is somehow better than any other queer woman, but the fact that she was resurrected says something too – she was important enough to do that and she is now a main character on a show, so I’m actually quite happy with how her character arc turned out. The “dead lesbian” trope has infuriated me since the first time I saw it, in a one-act play done in a night of one-acts at Gonzaga University in the late 1990s. The story was two women, and one of them revealed she is a lesbian and in love with the other, the other rejects her, and then the last thing that happens is the lesbian goes offstage and it ends with the sound of an offstage gunshot. Annoying and stupid…right up there with the thing at the time in films and plays of “if there is a gay guy in it, he must have AIDS” that was also quite popular. There was a collaborative theatre show in Cork, Ireland while I was there in the early 2000s that was called “No Dead Lesbians” for this very reason, and everyone in it survived to the end…but, it was a bit surreal, and didn’t have much of a plot or actual characters, either. It was certainly well-intentioned, but the final product wasn’t that interesting…but, deaths wouldn’t have made it more interesting either, nor would they have been remotely appropriate. As an aside, I wonder if the larger number of character deaths statistics you mentioned is largely due to the existence of Game of Thrones? Hmm…Now that Yara on there has been revealed to be bisexual, I wonder how much longer she’ll last. Yes, actually, the article on vox.com that I linked to in the post discusses the start of this trend of increasing death count on TV and how it did indeed start with Ned Stark’s death.